Minister Chris Bourke is the First Indigenous Dentist in Australia promoted to ACT Cabinet. From a travelling dental caravan in regional NSW and Victoria to cabinet in the ACT Legislative Assembly, Minister Chris Bourke (BDSc 1982) has worked hard for social and medical equality across Australia through every avenue available to him. In 2011, Minister Bourke was confirmed as the first Indigenous representative in the ACT Legislative Assembly. In January 2016 Minister Bourke was elevated to the cabinet and become Minister with responsibility for Aboriginal and Torres Strait Islander Affairs, Children and Young People, Disability, Small Business and the Arts, Veterans and Seniors. 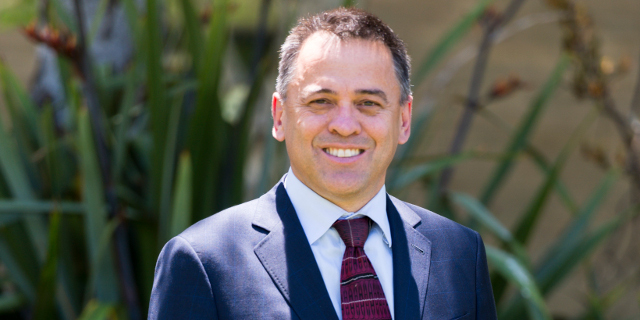 After graduating from the University, Minister Bourke, a proud Gamillaroi man and the first Indigenous dentist in Australia, spent 10 years in public dentistry working in Aboriginal dental services, school dental services and public dental clinics. He brings to his portfolio the experience of owning and operating a dental clinic for over 16 years as well as his deep and ongoing community work with Aboriginal education committees and community health. In 2004, he helped found the Indigenous Dentists’ Association of Australia and was the inaugural President. With no resources, other than the personal sacrifice of its members, the Association has been able to influence policy development at the highest level. Minister Bourke said he was proud of the foundation his education has given him: “My education from the University of Melbourne equipped me with the skills I needed to become a lifelong learner. It has empowered me to seek further knowledge and grow”.